99% of underwater lights installed in swimming pools are standard, old fashioned, energy hogging incandescent bulbs (i.e. Thomas Edison era.) They last about 1000 hours, and are a hassle to replace. The light fixture needs to be removed from the housing using a screwdriver underwater, lifted to the surface, and a replacement bulb installed. 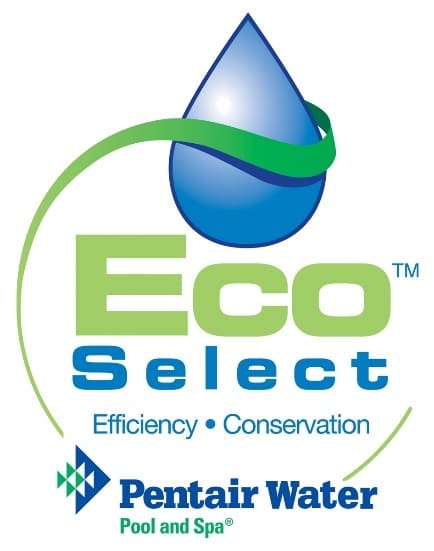 Monogram's standard lights are Pentair's 5G Intellibrite, UL approved, LED fixtures which lasts about 50,000 hours instead of only 1000! In addition, these high efficiency lights can save you as much as $150 a year. A 70 watt led produces the equivalent light of a 500 watt incandescent. 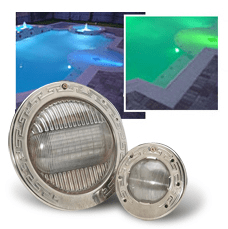 Also, if you would like to add a splash of color to your pool lighting, Monogram includes at NO CHARGE a color changing LED light that is controlled by the automation system. Your pool can slowly change colors or different color patterns can be selected such as Party Mode, Romance Mode, or Sunset mode. You can also select any solid color. In addition, for an amazing nighttime effect, we can supply low voltage landscape lights for around your pool to highlight your landscaping that will color change in sync with your pool lights.